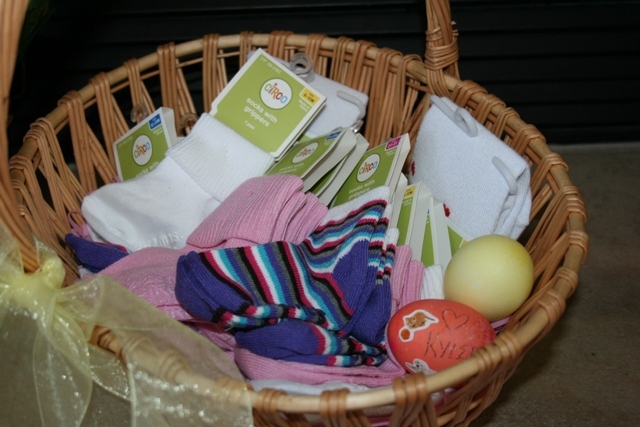 When I was pregnant with Kyleigh, I was looking forward to having a spring baby. I pictured myself being able to load up a new baby and my then 2 year-old in the double stroller, with my almost 5 year-old beside me as we took afternoon walks through the neighborhood. I was excited because it would be weather that I could get out of the house in and start to lose that extra baby weight … some of which was left over from my second son. 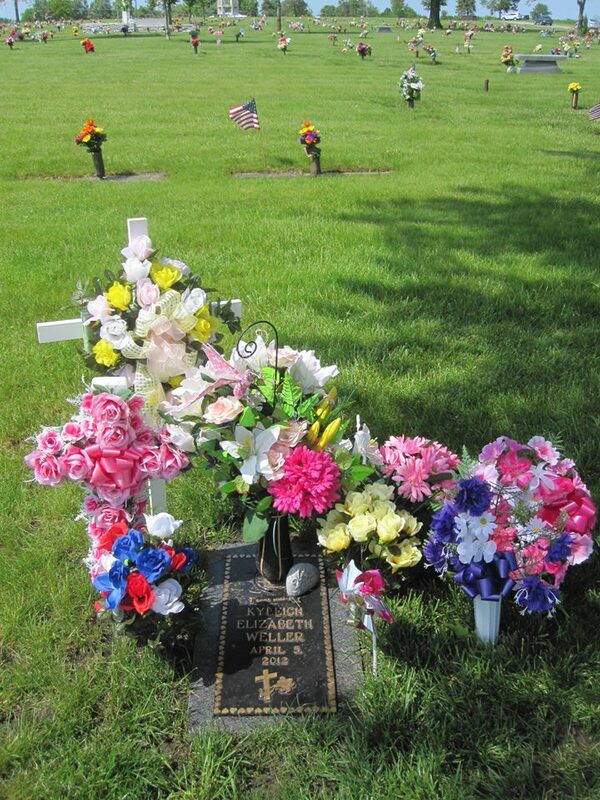 It was two months after Kyleigh died before I was cleared to exercise. By then, the heat of summer was starting to creep in. Even without the heat of summer, I sure didn’t have the energy or desire to exercise. Meals were brought to us for almost three months. Don’t get me wrong, we are forever grateful for all of the wonderful food that people prepared for us. But that’s the problem … it was WONDERFUL!! People bring comfort food to those grieving, not grilled chicken salads. And I ate it. Food is a comfort to me, so when I am upset, I eat. I know many people whom had they been in my situation, would have done the opposite and not eaten much of anything. Not me. I do not remember a time during the early days and months that I did not feel like eating. I even had an appetite in the hospital and managed to eat my fair share of chocolate cake. Almost two years later, not much has changed. We bought a treadmill almost a year ago and while I go in spurts with using it, it has not become a habit. I feel like I eat fairly healthy, but know that I consume too much soda and too many sweets. If I focus and really watch what I eat, along with getting in a few walks each week, I can shed five pounds pretty quickly. As soon as I start eating ice cream and stop walking, those five pounds find their way back quicker then they got lost. I have wanted to make a change for quite some time, but like most people in my dilemma, always seem to find an excuse. Then I heard about the book, Made to Crave, by Lysa Terkeurst. The quick summary is that we were made to crave God, not food, shopping, or whatever it may be. When I first read what the book was about, I thought, “I don’t crave food!” Well, I started the Made to Crave Bible Study on Monday and I know I’m not doing something right because I’m putting food before God. One thing that I know in my heart is that the number on the scale and the size of pants I put on each day does not matter. What matters is how I feel emotionally, spiritually and physically. I know that when I eat better, I feel better. I know that when I exercise, I have more energy. I also know that doing both of these things keeps me feeling more emotionally stable. I am starting to make some changes, but doubt always creeps in as to whether or not I can stick to it this time. In His usual fashion, God decided to let me know this morning that I can do this. As I was driving my youngest son to preschool, I looked up in the sky and there was a rainbow of sorts. I have seen this type of rainbow before and until someone else mentioned it later today, I could not remember what it was called. A sundog, or parhelion, is a bright circular spot on a solar halo caused by the diffraction of light by ice crystals is the atmosphere. I have seen this once before, back in the spring at the local kite festival. 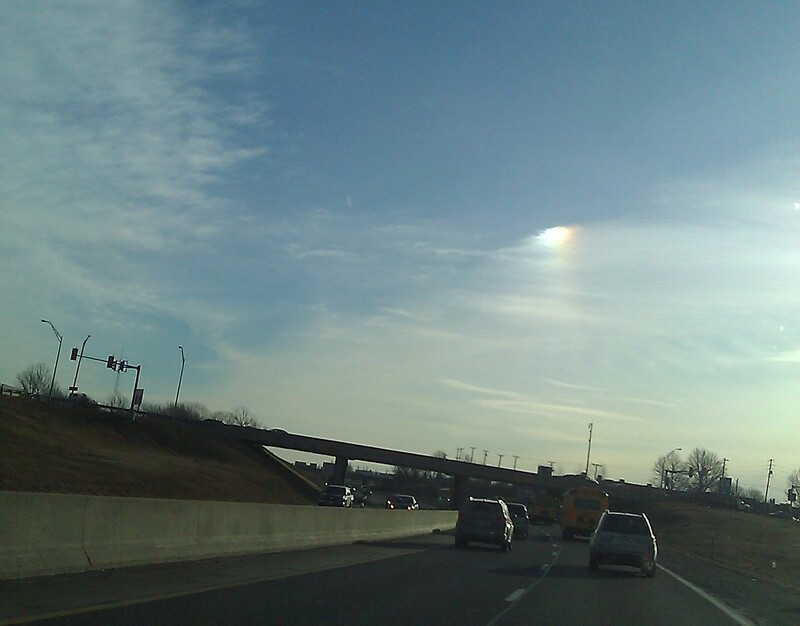 If you know my family’s passion for rainbows, you will understand how this sundog intrigued me on a bright sunny day at the end of January when my car read the outside temperature as being 5 degrees. The windshield was much, much colder. Yet, here in the sky was this beautiful arrangement of colors, leading me all the way to my son’s school. 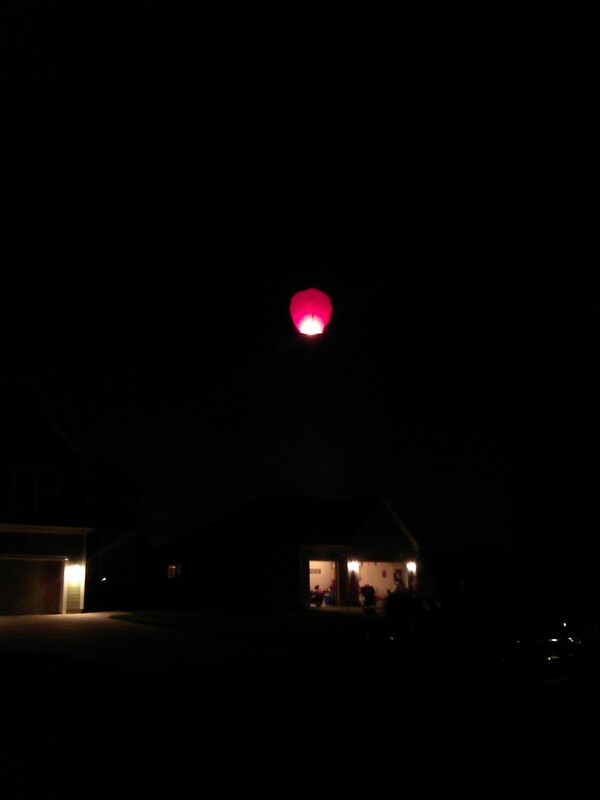 It was quite bright when I first saw it and of course, my first thought immediately went to Kyleigh. God has always given us rainbows to let us know she is safe in heaven. But as I watched this rainbow, I knew it wasn’t just about Kyleigh. It was about me and my doubt. It was God showing me that I can do this! With my focus on God, I am EMPOWERED to make a change and stick to it. Through God’s power, I have the ability to crave Him, not food. Through God’s power, I have the ability to crave Him, not laziness. Feeling empowered shows me that I have the ability to fulfill my cravings and desires through God and nothing else. The rainbow ‘sundog’ is the bright spot in the sky. The sundog can be seen just to the left of the light pole. 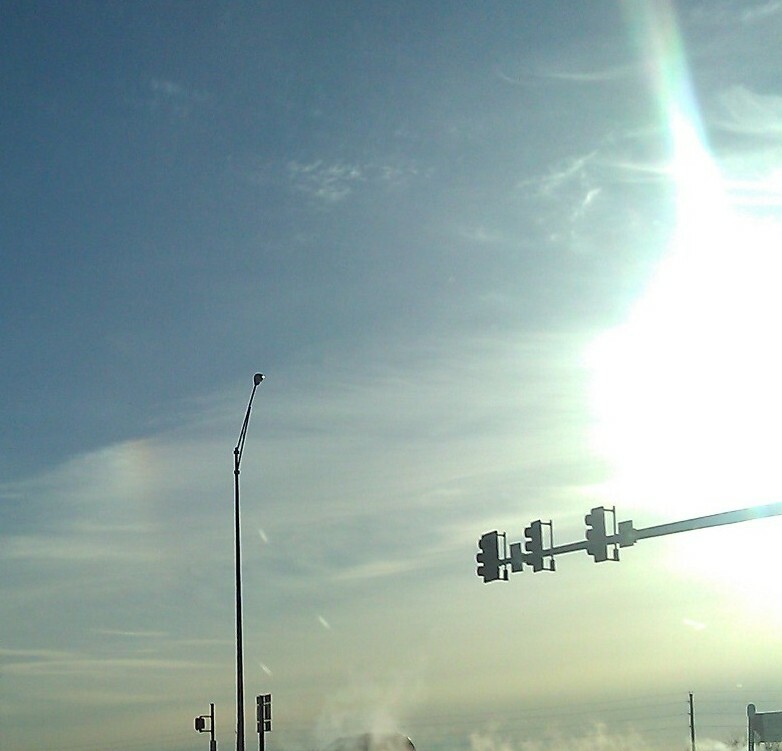 The above pictures do not do it justice, as there was much more color in the sundog, not just a bright spot. I managed to take a picture as I was driving, which I would normally not do, but I was afraid that by the time I got to school, the sundog would be gone. And I was right. The rainbow faded the closer we got to it and by the time I came back to my car from dropping my son off, it was gone. One thing I did notice was that the rainbow appeared to be coming out of a cloud that was right over the cemetery where Kyleigh is buried, which is just down the highway from preschool. She is with us always … and so is God. 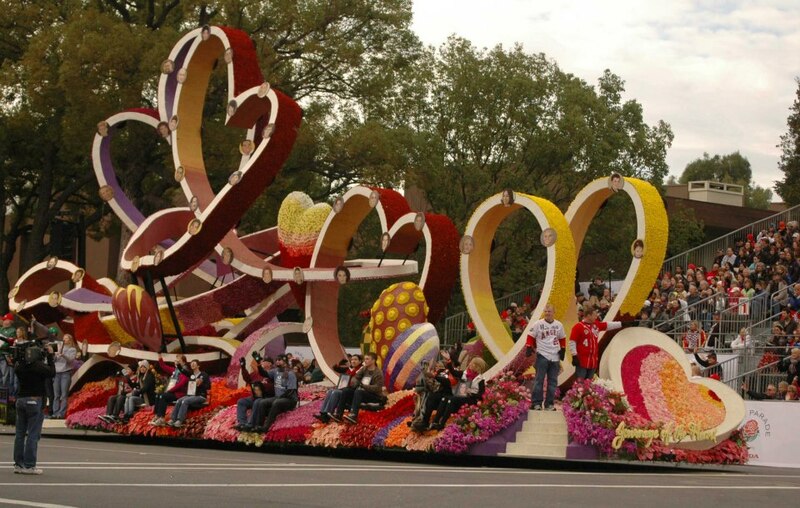 2013 Donate Life Float ~ The roses that were donated in honor or memory of loved ones are located in the heart at the back of the float. April – Two special events happened during the month of April, both celebrating Kyleigh. The first event was her 1st birthday celebration. We gathered with family and friends to remember and celebrate our baby girl a few days after her first birthday in heaven. Lunch, laughter, cake and tears was enjoyed by all. We also took this time to dedicate the memorial stone that holds Kyleigh’s name at a local park. Following the dedication, we released butterflies. It was a beautiful day for a beautiful girl! 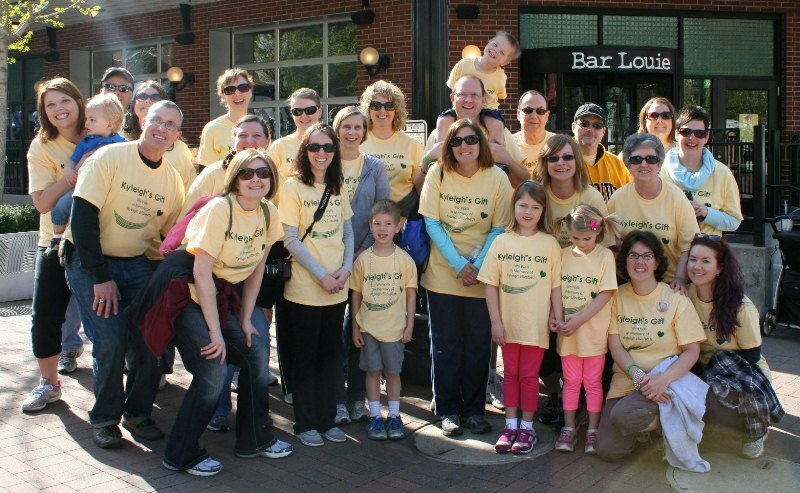 The second event during the month of April was our participation in the March for Babies in memory of Kyleigh. We had over 20 family members and friends join us to walk for the March of Dimes. 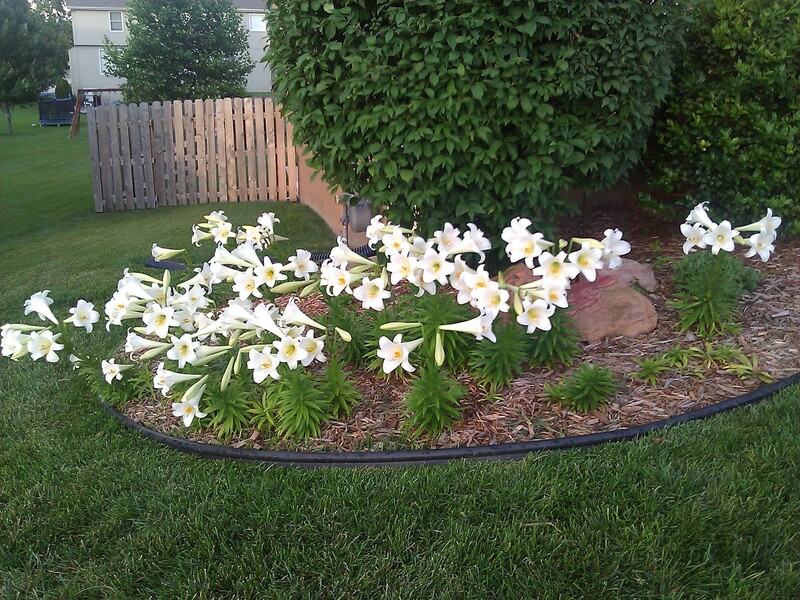 June – When Kyleigh passed away, our neighbors blanketed our yard with Easter Lilies. 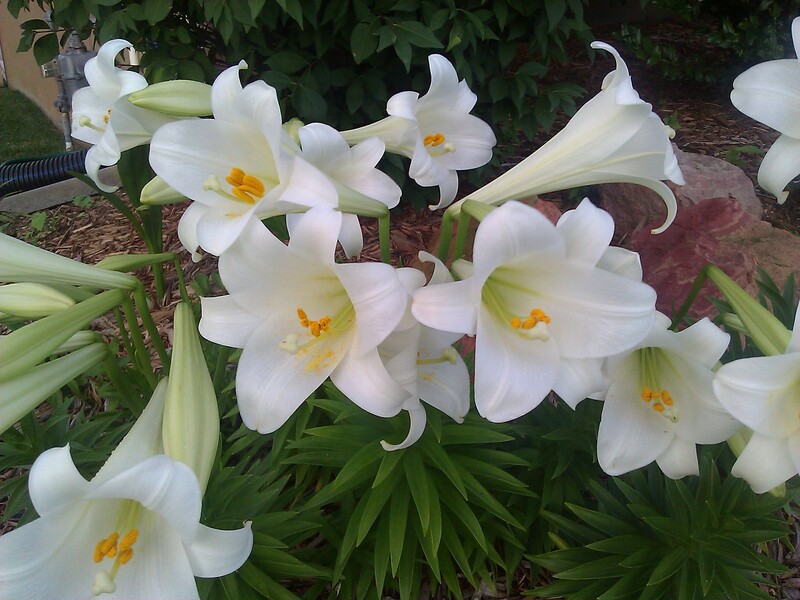 A friend planted the lilies at the front of our house and told us that they would bloom again, probably sometime in June. Sure enough, all of them grew and grew and finally fully bloomed at the end of June. They were beautiful! 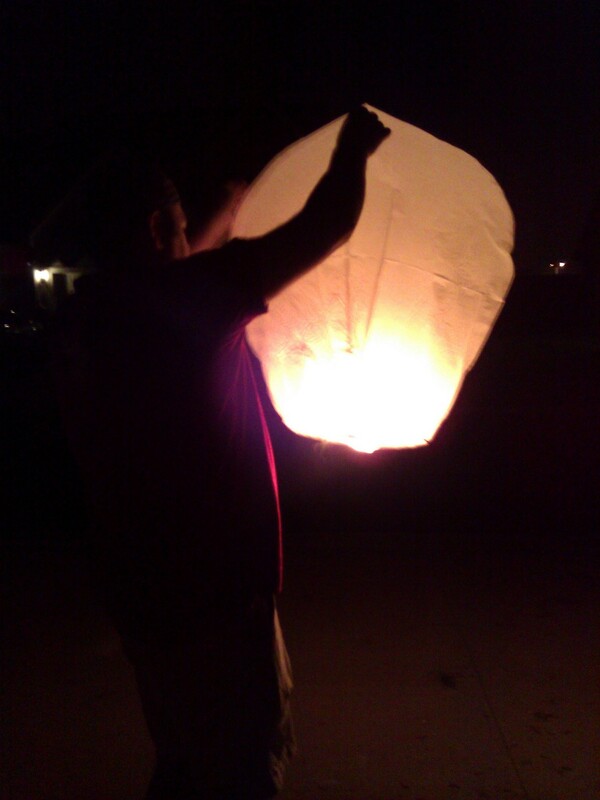 July – Lanterns in memory of Kyleigh were released on the 4th of July. This is the second year that our friends have done this for Kyleigh and a tradition that we hope continues through the years. 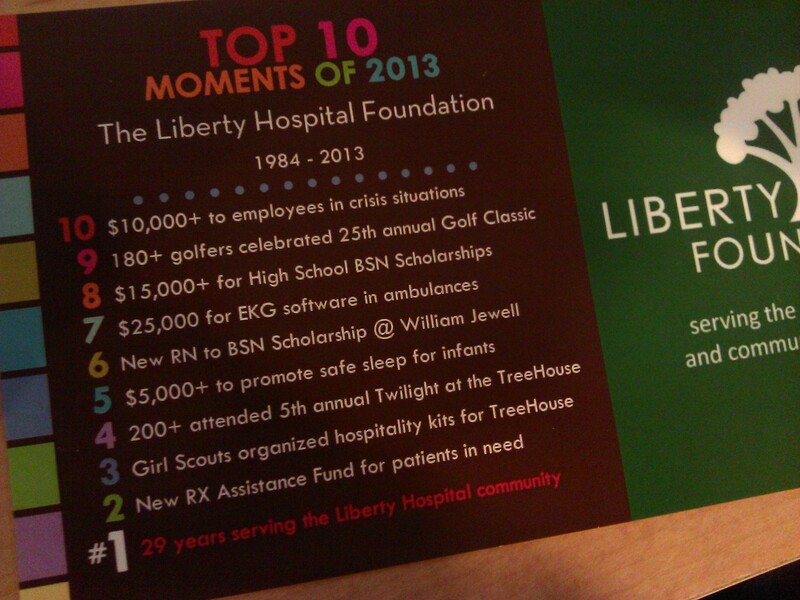 November – We met with the Liberty Hospital Foundation in the spring and began working on the Kyleigh’s Gift sleep sack project. In November, we were presented with the sample HALO sleep sack, which will be given to every newborn at the Liberty Hospital Birthing Center. 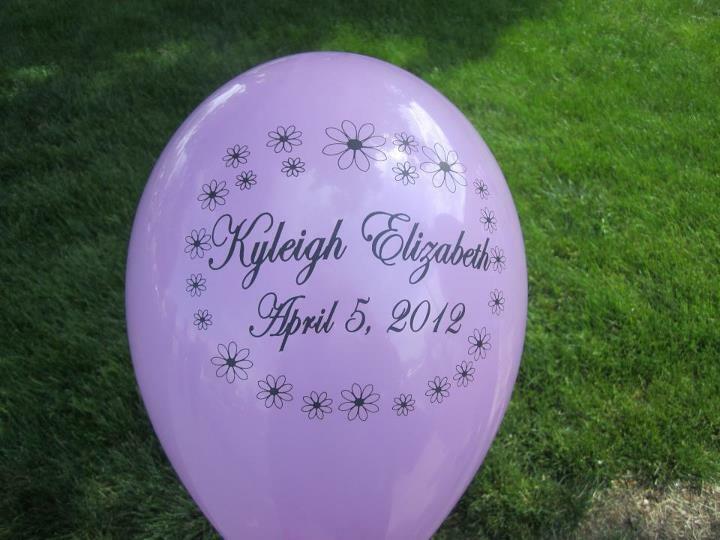 We are very excited about this project and how it is being used to not only bring awareness to safe sleeping habits for babies, but also to keep Kyleigh’s memory alive and bring awareness to pregnancy & infant loss. 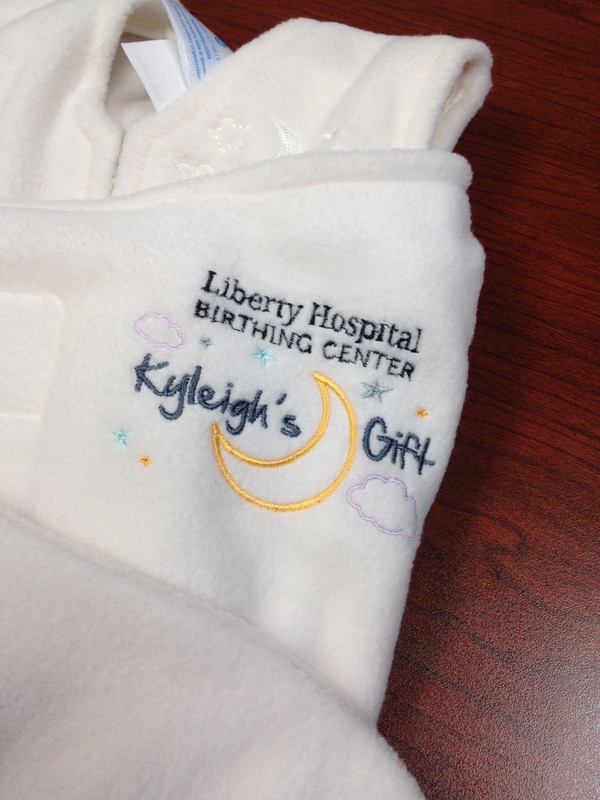 We can’t wait to see what 2014 brings for Kyleigh’s Gift!